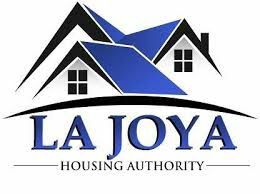 LA JOYA — A housing authority board meeting, in which the termination of executive director Frances Salinas was to be discussed, was canceled here Monday evening after the board’s chairwoman was served with a temporary restraining order minutes before proceedings were set to begin. The TRO is the latest in a series of issues that have plagued the board’s efforts to fire Salinas, who the board terminated Oct. 10. Salinas, however, declared the board’s actions void, on account of her failing to post notice of the Oct. 10 meeting 72 hours in advance, as required by the Texas Open Meetings Act. She charged board chairwoman Maricruz Sifuentes with pressuring her “to create and expedite” the Oct. 10 meeting, according to a letter sent to the mayor last week. Hidalgo County Court-at-Law Judge Albert Garcia signed the TRO, which Salinas filed against the La Joya Housing Authority, at approximately 4:38 p.m. Monday, according to court records, effectively preventing the meeting from being held. “The harm that will result if the temporary restraining order is not issued is irreparable because (Salina’s) name, reputation and standing in the community will be forever tarnished,” the TRO states. Salinas, the daughter of La Joya Mayor Jose A. “Fito” Salinas and La Joya City Alderwoman Mary Salinas, is running for election on the La Joya school board, having been appointed to the Place 2 seat in August 2017. “It’s an attempt to stop us from looking at the finances, because we haven’t seen them for four months and they are way out there,” Sifuentes said shortly after being served with the restraining order. The board has not met since July. Following an April site visit, the U.S. Department of Housing and Urban Development found “serious concerns on how the authority is being managed by the staff and overseen by the Board of Commissioners,” according to a June 29 letter HUD San Antonio Public Housing Director David Pohler sent Salinas. The letter noted that if the agency failed to create a recovery plan addressing the poor physical condition of housing units and the financial viability of the agency, it would be at risk of being managed by another city. He previously told The Monitor he believed the board’s attempts to fire his daughter were political. A court hearing will be held Oct. 29 in County Court-at-Law No. 6 in order to determine how the housing authority can proceed.